Postcard CZ-600263 from Czech shows Orlík nad Vltavou, a village in the South Bohemian Region of the Czech Republic. According to Wikipedia, the village was formerly called Staré Sedlo, named after the castle. 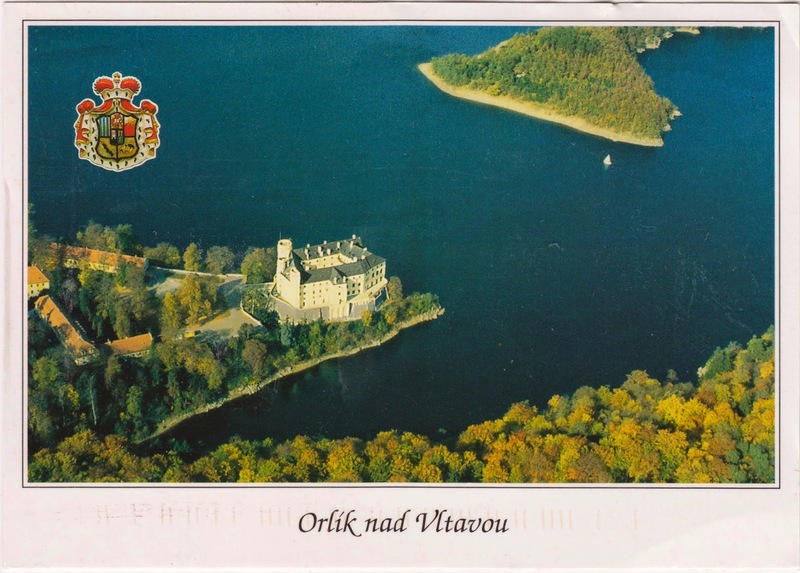 In Czech, "nad Vltavou" means "upon the river Vltava" and both the castle and the village are located on the left river bank, on the shores of the Orlik reservoir as a result of the construction of Orlík Dam. The Orlík Castle, standing right next to the water, is surrounded by a huge park and a game preserve. It belongs to the House of Schwarzenberg, a Bohemian and Franconian aristocratic family, but it is open to the public on most summer days.